In this guide we’re looking at the best VPN choices for geo-spoofing. We’ve tried and tested a whole range and reduced it down to the five best options. When you use the internet, your geographical location may not seem all that important in the scheme of things. However, over the years the internet has been portioned up in much the same way as the physical world. Geographical barriers are now ever more present and content is often supplied based on where you are physically. The internet was never really designed with these geographical borders in mind but as countries and content providers have aimed to restrict the free flow of information and keep specific content for specific regions the internet has been merely divided along physical country borders. There are plenty of reasons why you’ll want to change or ‘spoof’ your geo-location and the best way to do this reliably is to use a VPN. But which VPN should you choose for geo-spoofing? There are over 500 VPN services out there to choose from, everything from good to bad, paid to free. So where do you begin? We’ve been testing VPN services for over five years now and for geo-spoofing we’ve whittled this colossal list down to just five choices. If you’re looking to spoof your location, here are the five best VPN choices to do just that. Thankfully choosing a VPN for geo-spoofing isn’t too difficult. Almost all VPN services can help you do this. Unless the service is misconfigured or completely inept, then it’s difficult to make a wrong choice. There are however some services which are better in terms of your overall internet usage in areas like speed and reliability. If you’re looking for a VPN for geo-spoofing, then these four tips will help you get the best for the job. Server locations – If you have a specific location you want to appear in then you’ll need to make sure the VPN service offers ‘servers’ there. Without a server in the location you want to appear you won’t be able to spoof your location there. Speed – Using any VPN will incur some speed loss. However, by using a reputable VPN service, this speed loss can be limited to just a few Mbps off your regular connection. Choose wisely or your speeds could crawl to a halt. Apps – Spoofing your location doesn’t need to be difficult. The best VPN services offer apps for all the most popular devices so you can connect and be spoofing your location in seconds. Money back guarantee – What works well for one user in one location may not work well for another. It’s important to make sure you can get your money back if you’re unhappy. Most reputable VPN services give you a 30-day money back period allowing you to test it risk-free. If you need a VPN for geo-spoofing, the following five are the best choices. Each will enable you to alter your location so you can appear in any number of locations worldwide. ExpressVPN is without a doubt the best choice VPN for geo-spoofing. They have an extensive server network that spans over 94 countries across the world. Most of the servers are physical servers located in the actual country but ExpressVPN does use some ‘virtual servers’ that still gives the impression you’re located in a particular country. This allows them to offer more locations than the competition. Spoofing your location is extremely easy as ExpressVPN offers a full range of apps for all the most popular devices. Simply choose a country, click to connect and you’re virtually there. The service works great with all the most popular streaming services like Netflix, BBC iPlayer, DAZN and a wide range of others allowing you to access most content from around the world. There’s a huge 30-day money back guarantee and ExpressVPN are offering our readers 49% off their annual package right now. 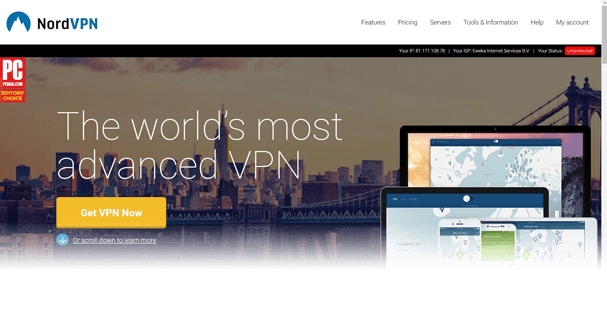 NordVPN is considered one of the best all-round VPN services for security features, speeds and overall quality of service. They’re also ideal for geo-spoofing. Their service covers over 60 countries worldwide and there are more than 5,200 individual VPN servers available to connect to. This is a more significant number than nearly any other VPN service giving you plenty of choice of where to connect. Unlike smaller services you may find servers blocked from accessing certain services but with so many servers to choose from it’s merely a case of selecting another which is sure to be unblocked. Like ExpressVPN, apps are available for a broad range of the most popular devices which includes Windows and Mac, Android and iOS, Linux and the Amazon Fire TV range of devices. Additionally, as well as having one of the largest server networks they also have some of the best speeds which we noted in our review of their service. Taking a look is risk-free as there is a 30-day money back guarantee if you’re unhappy. VyprVPN is a firm favourite in the VPN world and one of the most reliable VPN services we’ve tested in the last five years. They’ve got VPN connection points in over 70 locations covering around 60 countries in the world. This makes them an excellent choice for geo spoofing your location. With servers in most major countries and some minor ones, you can pretend to be almost anywhere in the world. Their quality server network also provides some of the best speeds and they own all of their network which means they’re much more reliable than some other choices out there. They offer a range of apps for the most popular devices although they are lacking an Amazon app. Also they work with the most popular streaming services including Netflix, BBC iPlayer, Sky Go and Eurosport Player. There’s no money back guarantee available at VyprVPN but you can try their service completely unrestricted and free for 3-days. Next we have IPVanish who makes another great choice for geo-spoofing. If you want to hop over virtual borders then connect to one of their 50 server locations available. As well as offering connection points in multiple countries there is also a large handful that offers different cities too. In the UK, Spain, Estonia, Canada, United States, Brazil and Australia you can geo spoof your location to individual cities also. There’s a full range of apps which include Windows, Mac OS, Android, Apple iOS and the Amazon Fire TV range of devices. Additionally, the speeds available on the IPVanish are up there with the best of them. In our latest review we commended them on their impressive download speeds. IPVanish doesn’t work with some of the most popular streaming services like Netflix or BBC iPlayer so if that’s the reason you need to spoof your geo-location then you’re best off sticking with ExpressVPN. They are however suitable for a range of other geo-spoofing purposes. It was a difficult decision to include HideMyAss in this guide for two reasons. Firstly, HideMyAss IS one of the very best for spoofing your location. They allow you to spoof your location in more than 190 different countries with some 280 different individual locations. However, the majority of these are not physical servers but ‘virtual locations’. The actual server will be located in one country although you appear to be in another. The indecision to include HideMyAss is because their service isn’t the best overall. Their speeds while acceptable are slower than all of the other services listed in this guide and their logging policies fail to live up to the standards of what we would expect. If you have very simple needs for geo-spoofing then HideMyAss could be your go-to service. However, if you’re looking for a quality VPN service to go with it, then we don’t recommend them. 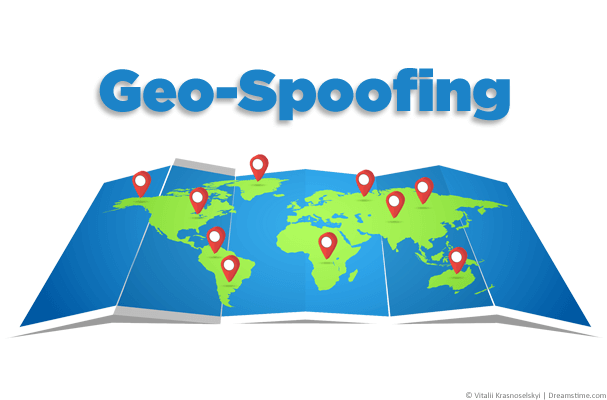 Which VPN is best for geo spoofing? All five of the listed VPN services above will make excellent choices for geo-spoofing. They offer a large range of server locations across the world giving you plenty of options to disguise your location and virtually reside elsewhere. If you still can’t decide we’ve broken it down further to help you pick. If you want to the best overall for geo-spoofing, choose ExpressVPN. With server locations across the world in over 94 countries and one of the best VPN services to match, they are the best choice. If you want plenty of individual servers, get NordVPN. They offer more than 5,200 individual VPN servers which is more than most other services giving you plenty of individual choice of where to connect. If you want to the most virtual locations, take HideMyAss. While they aren’t our favourite VPN service and have many areas lacking, they are the service with the most locations available. If you want to geo spoof on multiple devices, get ExpressVPN or IPVanish. ExpressVPN offers apps for more devices than most and IPVanish allows you to use their service on up to 10 devices at the same time. There are many reasons why you’ll want to spoof your geo-location and a VPN is the best way to achieve that. Above we’ve compared the five best VPN services for the job. They all offer a wealth of server locations allowing you to appear in almost any country you choose. Our recommendation is to use ExpressVPN. They do cost a little bit more than some of the other services but for the quality of service they offer it’s well worth stumping up that extra dollar or pound. Whichever of the five services you end up choosing you’ll now be able to spoof your geo-location whenever you wish. Ready to spoof your location? Try our recommended VPN service.